The Young Journalist Academy is a programme established in 2008 designed to encourage young people to engage with news and current affairs by creating their own School Newsroom, media literacy projects and working across school departments. 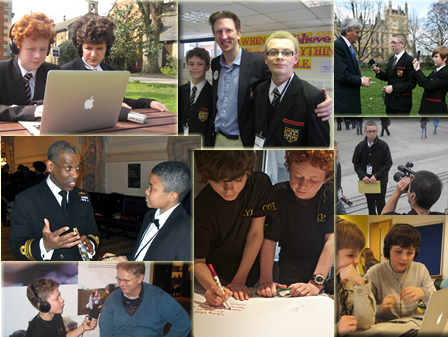 Carre’s Grammar School is one of 10 Secondary Schools involved in the Young Journalist Academy. The School’s Newsroom has had many of its articles and interviews published on the organizations website, a selection of these are available to read to the right. The opportunity has enabled the School to work with BBC broadcast journalists and other professionals, training both students and staff in all aspects of broadcast journalism (such as; writing, producing, filming and recording).